Open Source supports a cross-disciplinary and participatory approach to art, promoting artistic dialogue and critical commentary, creating a welcoming, inclusive environment for an intergenerational, multicultural audience. Since opening our doors in 2008, we have served hundreds of artists through our programs. We have received funding from local, state, and private sources such as National Endowment for the Arts, NY State Council on the Arts, NYC Department of Cultural Affairs, NY Council for the Humanities, Brooklyn Arts Council and the Puffin Foundation among many others. Open Source has been featured in local, national and international press such as the New York Times, Hyperallergic, Time Out and DNAinfo. In addition to our exhibits, which feature conceptually-driven, socially-engaged art by local and international artists, we offer related programs dedicated to creating dialogue about art in the community. During our monthly lecture series, scholars, artists and members of the community are invited to discuss the role that art plays in the community. Our monthly storytelling series explores modern-day folktales through the stories of people from all walks of life. Every year in December during our Soup Kitchen program, artists host one night shows at Open Source and cook a meal to be shared with the community. In periodic panel discussions, the community is invited to engage in discussion with academics, artists, and experts. 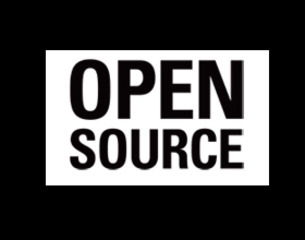 Open Source also offers a highly successful educational program that focuses on the relationship between art, technology and sustainability, encouraging children to innovate and think critically.